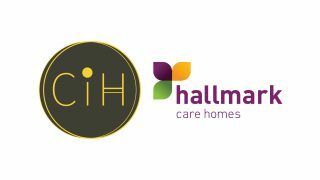 Hallmark Care Homes is excited to launch a new company-wide event for unpaid carers within the local community called Care for the Carer Day to coincide with National Carers Week. 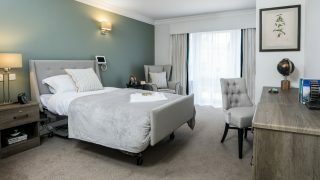 Care for the Carer Day is a new event in the Hallmark Care Homes’ calendar open to anyone currently caring for a loved one and in need of a bit of tender loving care! Whilst we will be recognising our own carers throughout this week for their hard work and dedication, Care for the Carer Day is a stand alone event for unpaid carers designed to make them feel special and enjoy a well-deserved day of relaxation and fun. The special event will take place at our English and Welsh homes from Monday 11th June – Saturday 16th June. Unpaid carers in the local area are invited to attend their local home on this day, receive free relaxing beauty treatments and hearing checks, extend their knowledge of dementia and care funding further, enjoy a film in our state-of-the-art cinema and sample some of our delicious food. The purpose of the event is to improve the health and well-being of individuals who are currently caring for a loved one. According to a 2017 poll by YouGov, carers have worse health than the general public and carers providing 50 hours or more a week of care are twice as likely to be in bad health as non-carers. 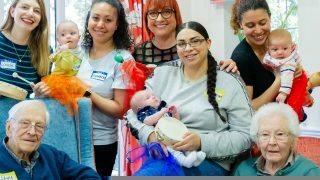 This special event gives them a well-deserved break from caring, helping to keep them well. Each home has arranged an array of exciting activities to take place during their Care for the Carer Day event. For full details on what each home has planned and how-to RSVP, please see below. Saturday 16th June from 10:00am-4:00pm. The home will be pulling out all the stops, with tea, coffee and cake on arrival shortly followed by a funding long term care presentation with Penny Griffiths from Eldercare at 10:30am and a educational Dementia Friends session at 12:00pm. Between 10:00am – 2:00pm, hearing specialists Hidden Hearing will also be on hand to offer interested guests free hearing screening and hearing health advice as part of their Campaign for Better Hearing. 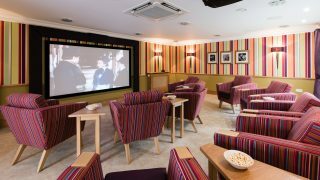 The home will then be putting on a wonderful buffet lunch in the Lighthouse Café, shortly followed by a film in the cinema with ice cream and popcorn. Free of charge hand massages, mini manicures and wash, cut and blow dries with our in-house therapists and hairdressers can also be booked in advance to make your day even more special. 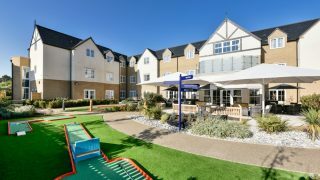 Anisha Grange Care Home, Outwood Common Road, Billericay, Essex, CM11 2LE. Friday 15th June from 9:00am-5:00pm. From 9:00am until 5:00pm, visiting carers are invited to be pampered by our in-house therapist and hairdresser free of charge and receive a mini manicure and or wash, cut and blow dry. From 11:00am visitors are invited to attend a lively musical sing-along of timeless classics. 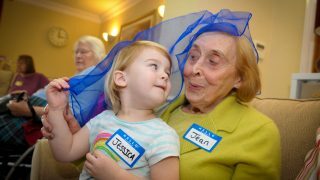 At 1:30pm Anisha Grange will host a memory cafe featuring an information talk on dementia. This will be swiftly followed by afternoon tea for interested guests and live entertainment. Saturday 16th June from 10:00am-2:00pm. As well as being able to view our beautiful facility, visitors are invited to be pampered by our in-house therapists free of charge, with a glass of Pimm’s and homemade cakes to go alongside the relaxing session. There will also be an educational Dementia Friends session at the home at 1:00pm where you can extend your knowledge of dementia further. Friday 15th June from 10:00am-5:00pm. In the morning, visitors will be able to attend a educational Dementia Friends session at 10:30am and 12:00pm and funding long term care presentation at 10:30am with Penny Griffiths at Eldercare. There will also be an opportunity to take a tour of our wonderful home, whilst enjoying a delicious continental brunch prepared by our chefs. Throughout the day, visitors will also be able to get their hearing checked with hearing specialists Hidden Hearing and enjoy a free of charge pamper session. Whether it be getting your nails done or having your hair restyled, there is something for everyone! Friday 15th June from 11:00am-4:00pm. The home will be kicking off the day at 11:00am with a funding long term care seminar with Nicky Cave from Eldercare. Shortly after, between 12:30pm and 1:00pm, visitors will be able to participate in a guided relaxation session with creative visualisations, followed by a delicious lunch prepared by our chefs. After lunch, from 2:30pm until 3:00pm visitors can enjoy a seated dance class with team member, Sharon, followed by a delicious high-tea. Visitors will also get the chance to have their hearing tested from 11:00am-4:00pm with hearing specialists, Hidden Hearing. Greenhill Manor Care Home, Duffryn Road, Pentrebach, Merthyr Tydfil, CF48 4BE. Wednesday 13th June from 10:00am-2:00pm. The home will be welcoming all guests and asking them to relax in our café area with a selection of refreshments. Visitors will also get the chance to have their hearing tested from 10:00am-2:00pm with hearing specialists, Hidden Hearing. Throughout the day guests will also be able to extend their knowledge of dementia further with an educational Dementia Friends session at 1:00pm. Tuesday 12th June from 10:00am-4:00pm. The home will be offering visitors the opportunity to enjoy a relaxing manicure or get their hair cut, free of charge, by our in-house therapists and hairdresser. As well as enjoying some pampering, visitors will be able to have their hearing checked by hearing specialists, Hidden Hearing from 10:00am-4:00pm. A delicious lunch will also be provided between 12:30pm and 2:00pm, prepared by our experienced chefs. Lakeview Care Home will be hosting events all week to celebrate National Carers Week! On Monday 11th June from 1:00pm-4:00pm, visitors will be able to be pampered with a free of charge wash, cut and blow dry with our in-house hair stylist Debbie. Visitors will also be able to have a relaxing manicure with Gemma upon request. On Tuesday 12th June from 11:30am-12:30pm, visitors can come along to an educational Dementia Friends session. On Wednesday 13th June from 10:00am-4:00pm, visitors can have their cars cleaned at a charity car wash with a suggested donation to The Care Workers Charity, enjoy a slice of delicious cake and take a tour of our beautiful home. On Thursday 14th June from 2:30pm-5:00pm, visitors can experience a reflexology taster with Fran in our state-of-the-art therapy room, followed by a educational Dementia Friends session at 6:00pm. On Friday 15th June from 10:00am-11:30am, visitors can enjoy a tasty cup of coffee alongside a pastry. From 11:00am-2:00pm, visitors can also have their hearing checked by hearing specialists, Hidden Hearing, followed by a funding long term care seminar in the cinema room with Mike Ralph from Eldercare at 2:00pm. 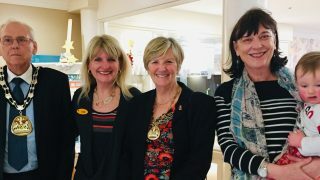 Shire Hall Care Home will be pulling out all the stops for Care for the Carer day, kicking it off at 11:00am with a funding long-term care seminar with Annette Willams from Eldercare. This will be shortly followed with a beauty workshop where visitors can have their nails and makeup done by trained professionals. Visitors can then stop for a spot of lunch, freshly prepared by the kitchen team. From 1:30pm-5:00pm hearing specialists, Hidden Hearing will also be at hand offering free hearing tests for visitors. Our in-house hairdresser will also be offering a free of charge hair cut to carers visiting the home between 2:00pm and 4:00pm. At 4:00pm, visitors will be able to become a Dementia Friends at our interactive and informative session. 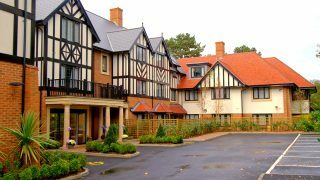 Ty Enfys Care Home, Marle Close, Pentwyn, Cardiff, CF23 7EP. Wednesday 13th June from 2:30pm. Ty Enfys will be offering unpaid carers the opportunity to have their nails and feet done by trained professionals in a beauty workshop followed by afternoon tea. Please note there is only one space left available now for this pampering session. If none of the above events peak your interest and you would just like your care questions answered in confidence please click here to contact your nearest Hallmark care home.